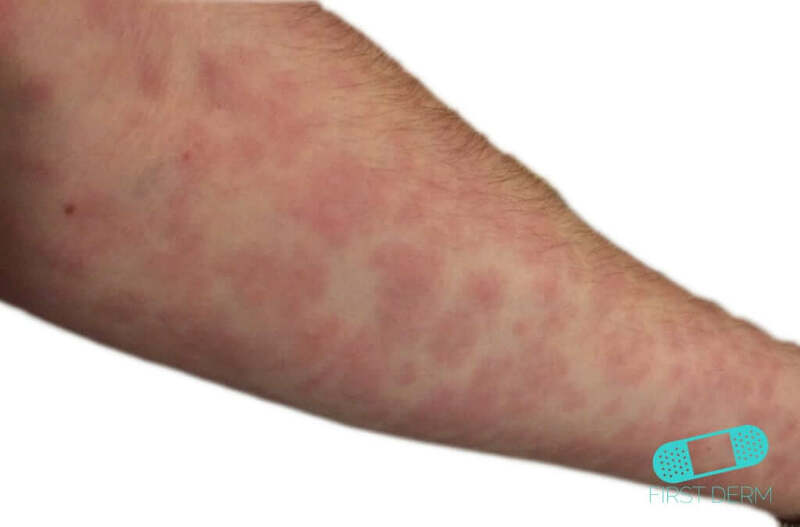 Erythema multiforme (or EM) is a self-limited but recurring allergic reaction or infection. 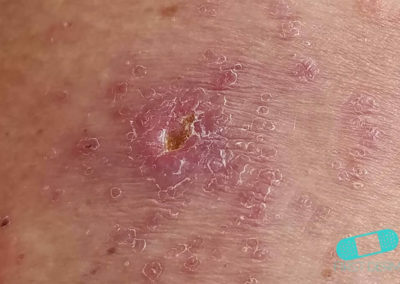 The exact cause of this skin condition is unknown, but is often associated with viral or bacterial infections or reactions to medication. 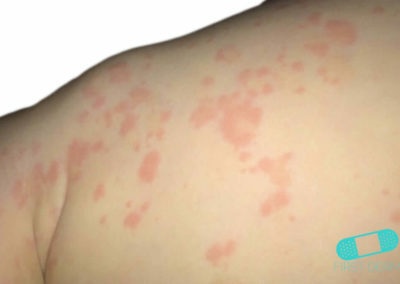 It is most common in children and young adults. 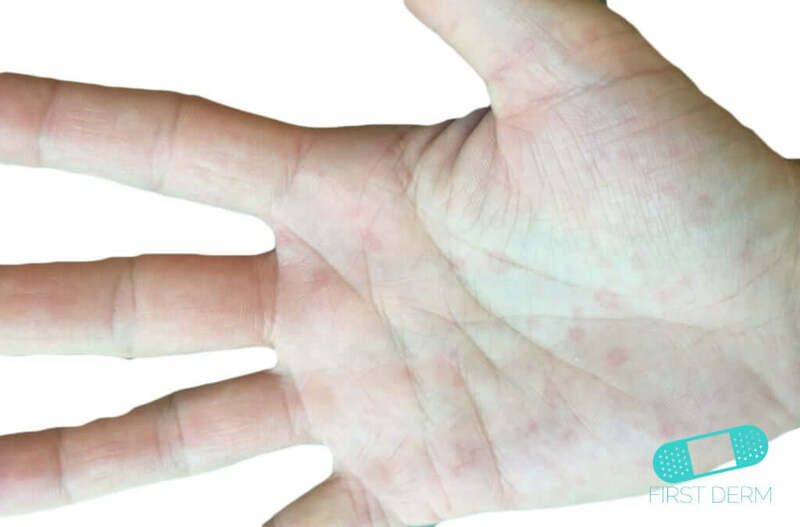 Precipitating factors include herpes simplex virus (HSV), mycoplasma, Epstein-Barr virus (EBV), and histoplasmosis. 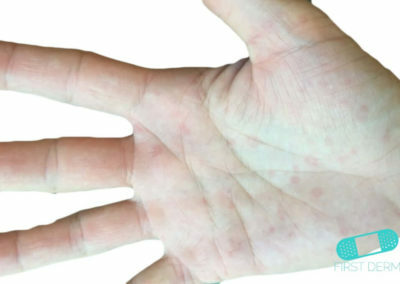 Most affected individuals experience 1-2 recurrences per year. 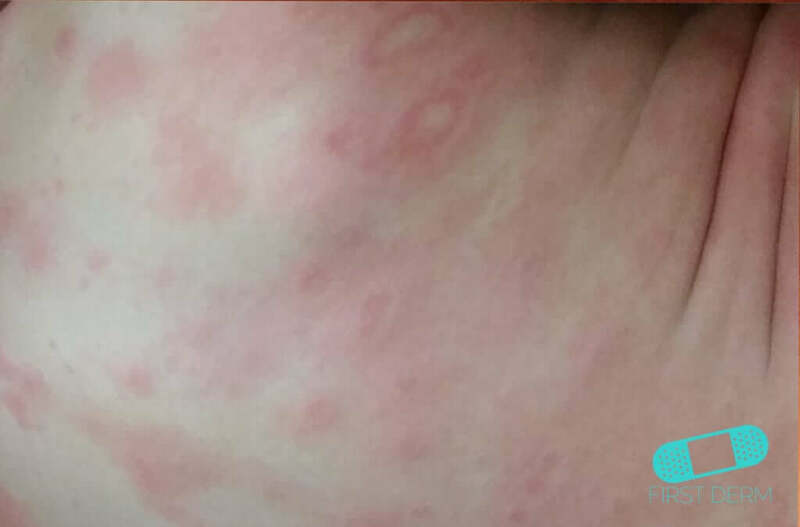 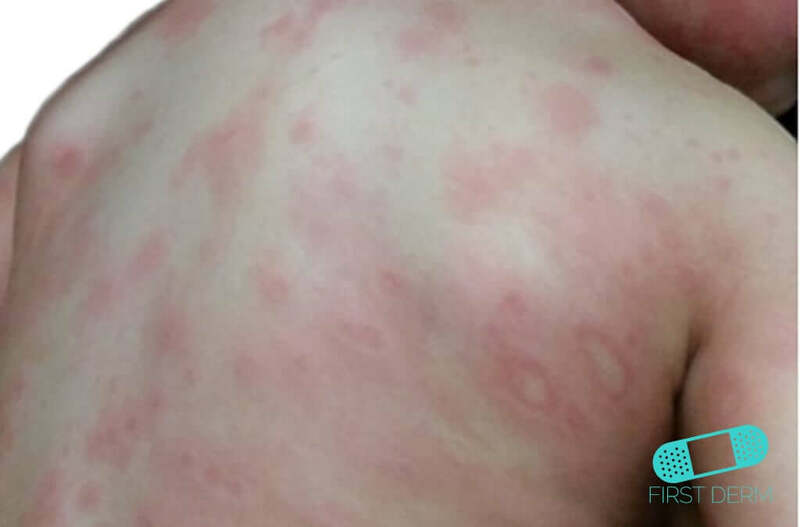 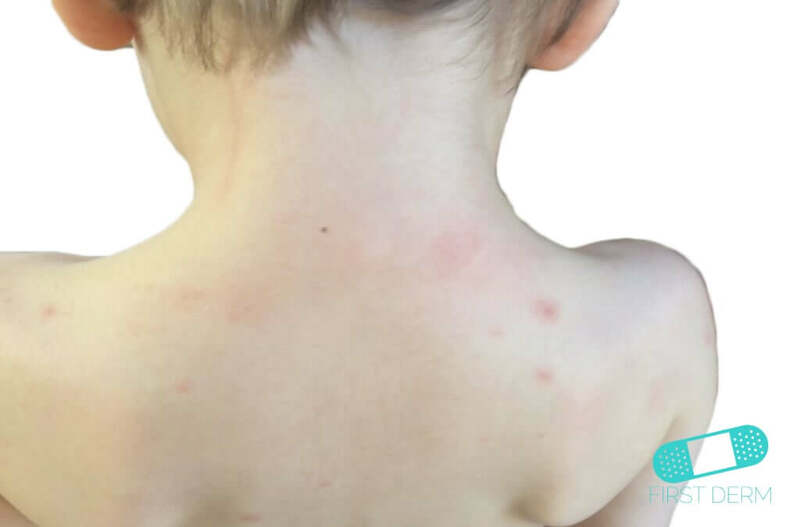 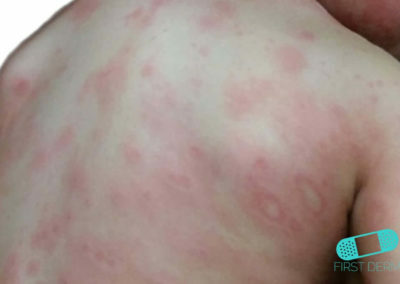 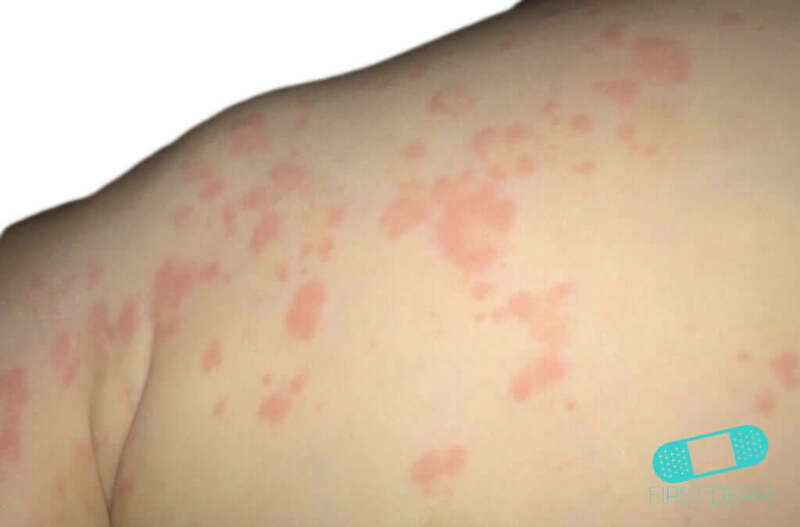 Erythema multiforme usually presents as a pink, hive-like rash or circular blister pattern like a target. 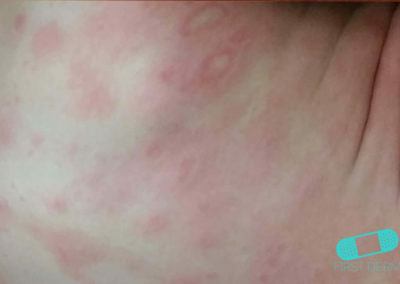 You may also experience fever, itchiness, and aches. 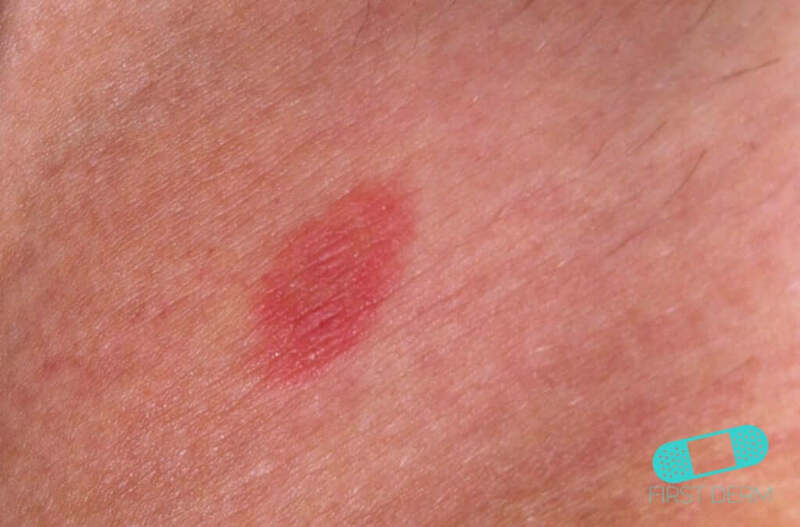 Dry eyes, mouth sores, and vision problems are less common symptoms. 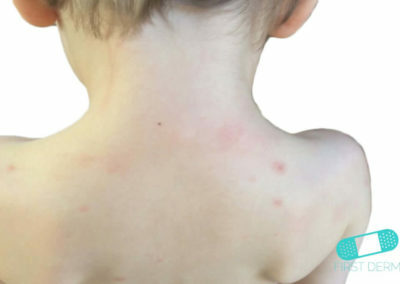 With that being said, there is a wide spectrum of symptoms and severity from mild to extreme. 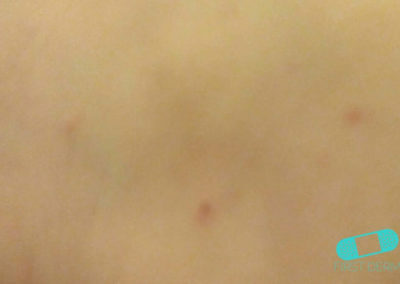 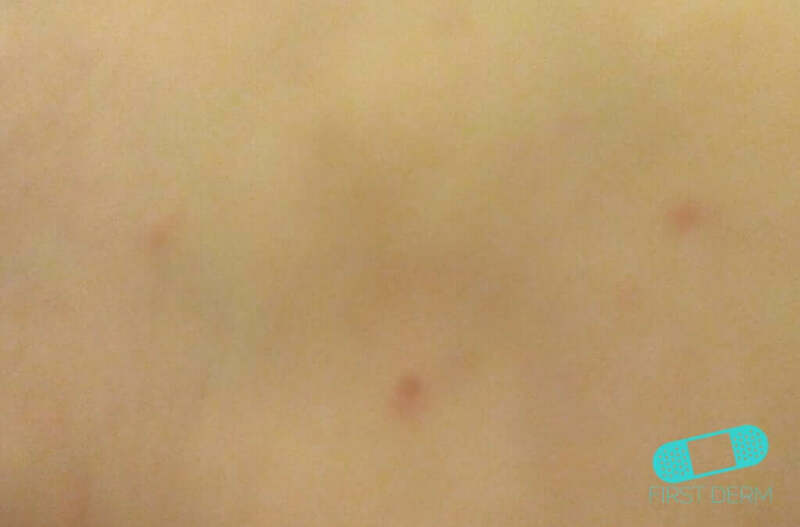 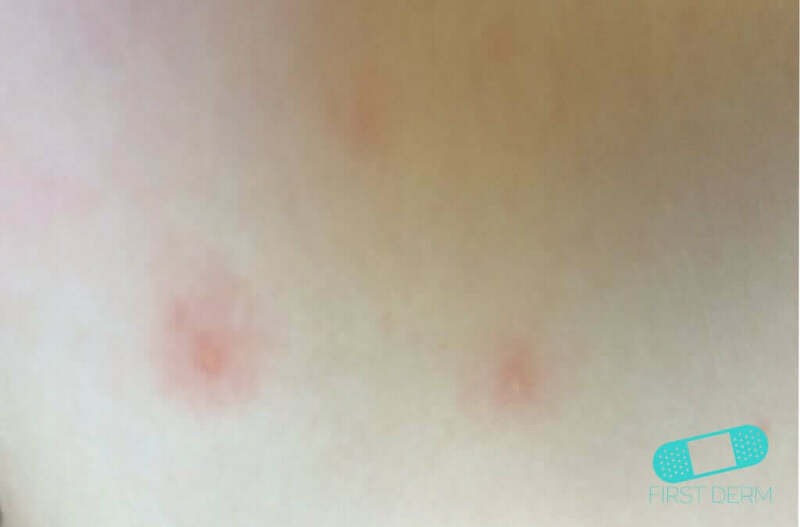 Minor forms of erythema multiforme presents a localized eruption of the skin. 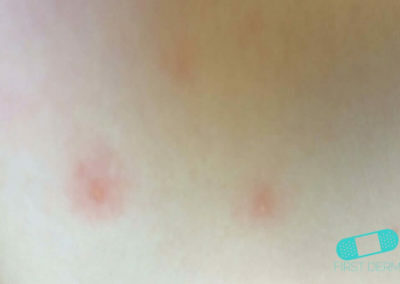 The small pimple-like rashes then evolve into larger lesions within 3 days and lasts in the affected area for at least 7 days. 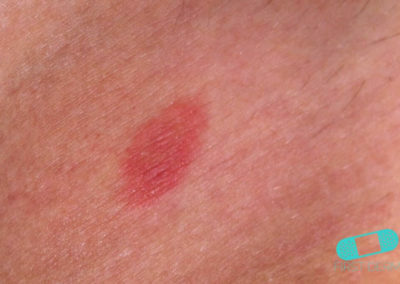 They often have a central sore surrounded by pale red rings. 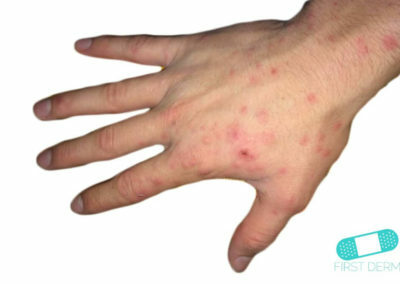 They usually locate on the upper body, legs, arms, palms, hands, feet, face or lips. 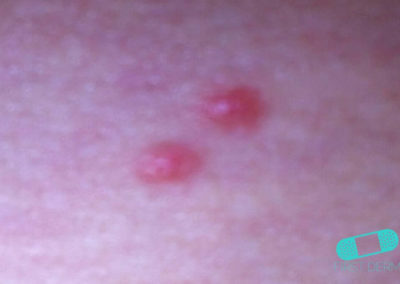 The lesions will then heal on its own. 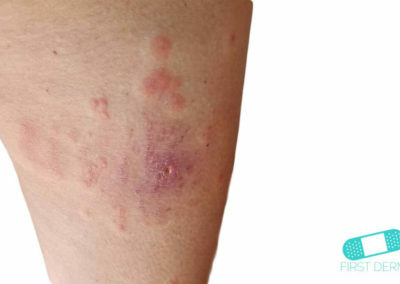 Major forms of erythema multiforme, considered by Stevens-Johnson syndrome by some clinicians, are potentially life-threatening. 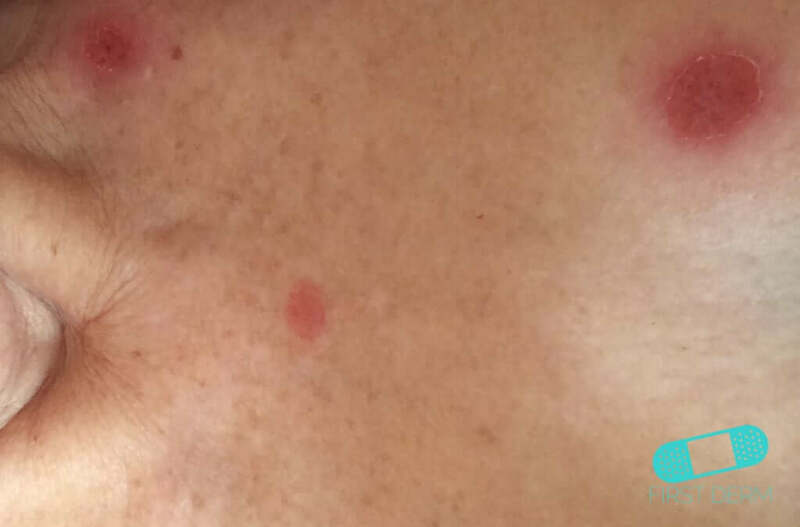 The lesions are irregular and typically begin on the face and trunk. 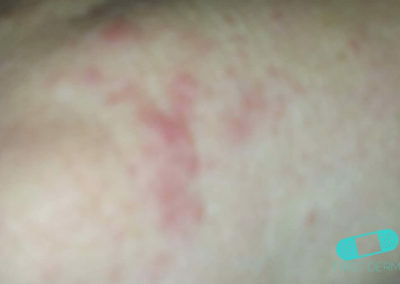 You may also have blistering.  More than 50% of all cases are attributed to medications. 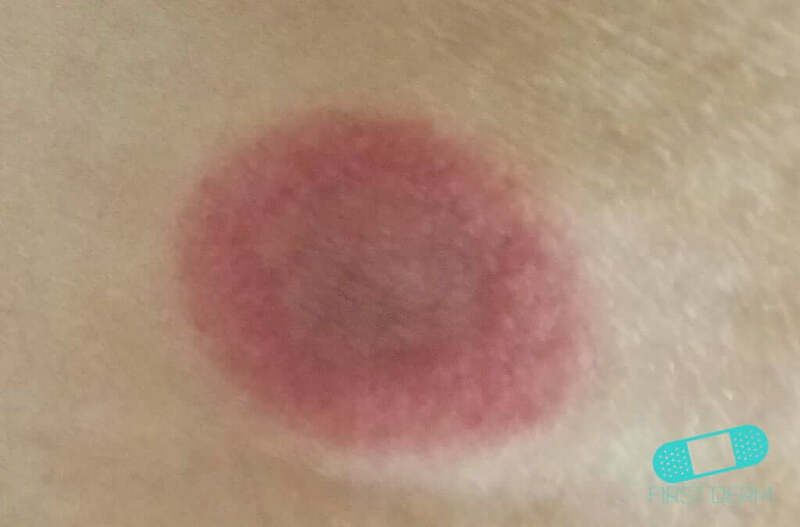 You can try controlling the illness that is causing the condition and use moist compresses. Good hygiene and staying away from other people may help prevent secondary infections. 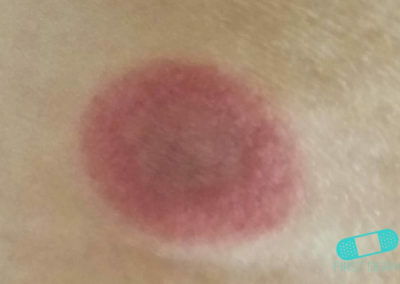 Most erythema multiforme disappears within 7-10 days, but the problem may return. 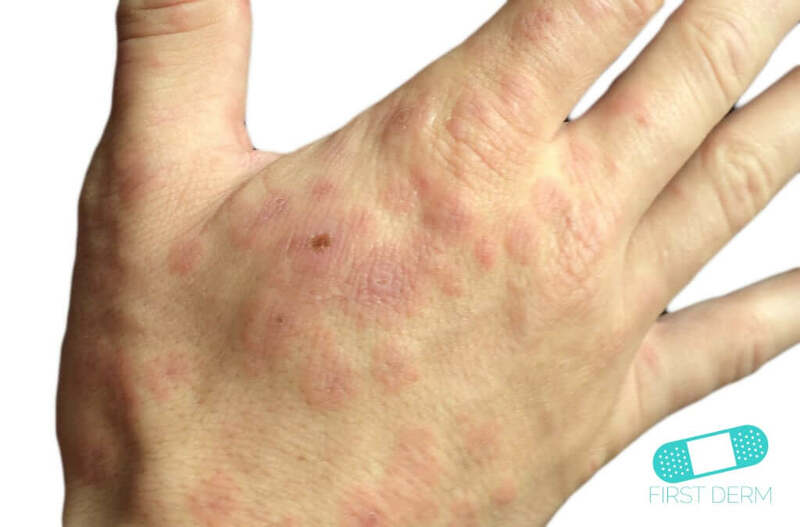 As always, a dermatologist should be consulted if this concern does not resolve itself or gets worse. 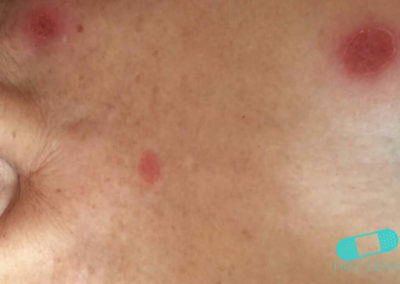 Most doctors can diagnose the problem by looking at your skin. 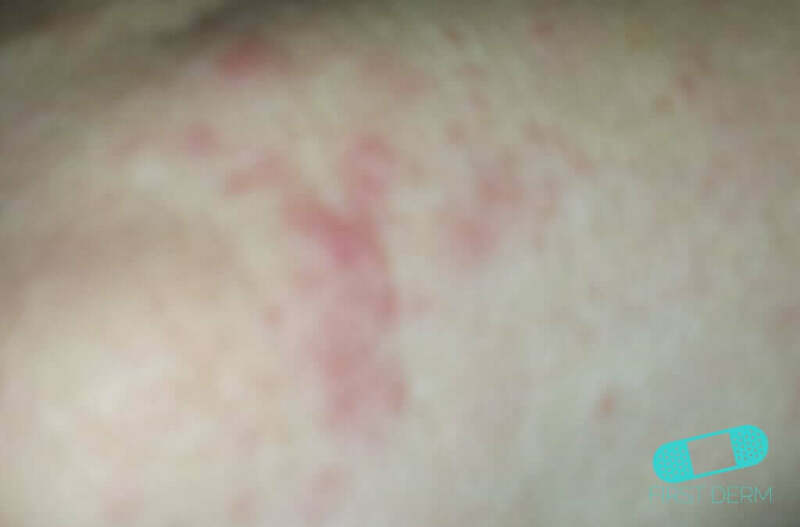 No treatment is necessary for erythema multiforme minor. 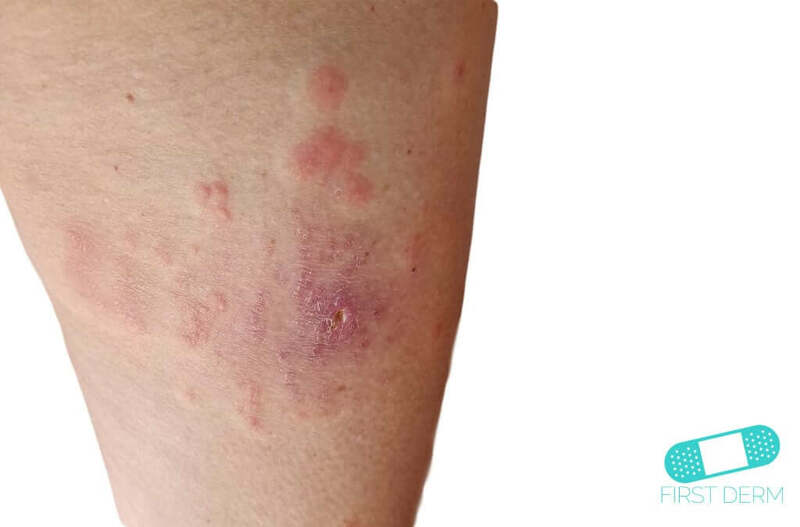 Antihistamines can relieve itchiness, while antiviral medicine and antibiotics can control infection. 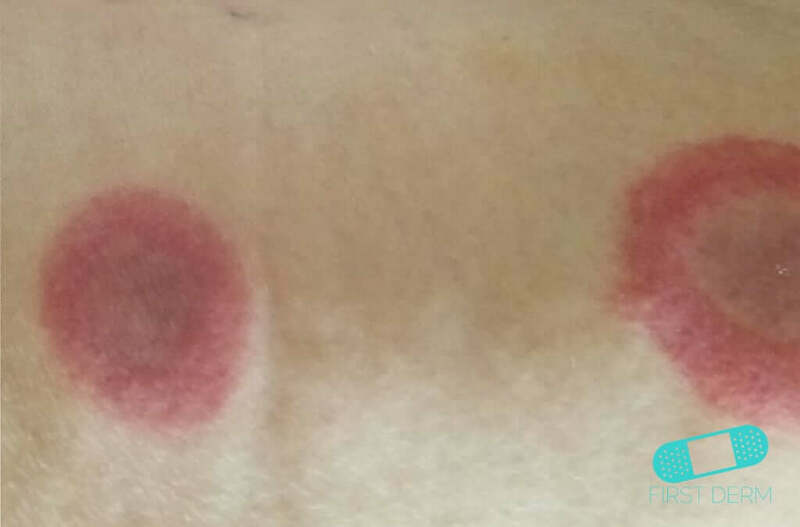 Topical anesthetics can ease discomfort that interferes with eating and drinking. 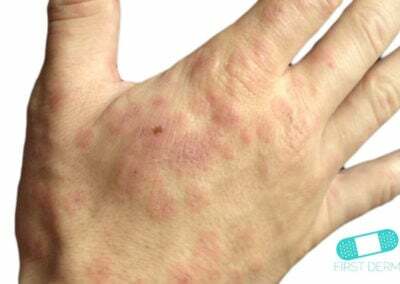 Treatment of severe symptoms include antibiotics for skin infections, corticosteroids, treatment in an intensive care or burn care unit, and also intravenous immunoglobulins (IVIG, an injection of healthy cells from donors into a vein).